Bifold doors are becoming an ever more popular option when it comes to modernizing, expanding or simply re-decorating a property. The reasons behind this are endless; in this economic climate updating your current home is frequently becoming much more financially possible as an alternative to moving house. 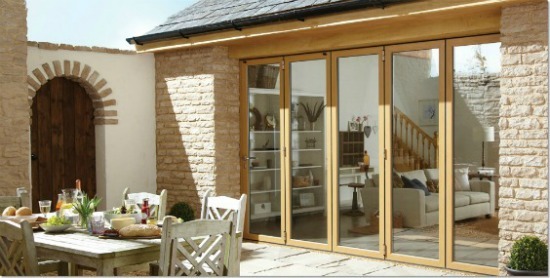 Adding bifold doors to your home will increase usefulness and unlock the true potential of your property. This ‘6-Easy-Grey-Bifold-doors’ set can instantly add or remove a wall from a room. 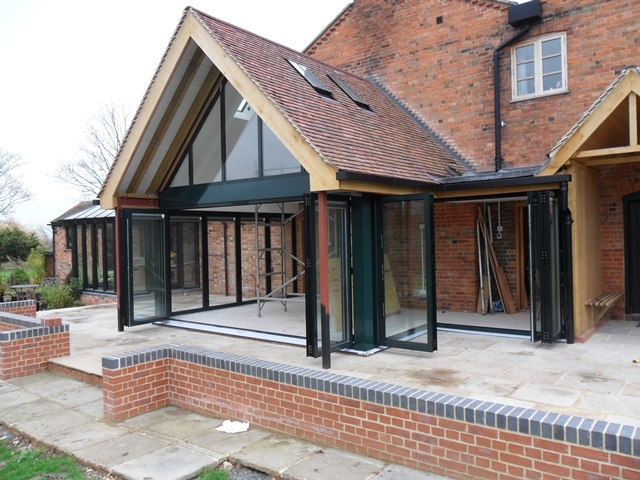 Bifold doors are also becoming much more widely appreciated with many installers now installing the Easifold door, meaning that they are now not only fitted to ultra-sleek modern new-build homes, but are also used when renovating period properties or updating country cottages. 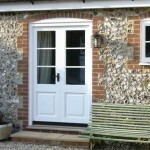 These doors can add or remove a wall in moment, depending on weather and your own disposition. Bifold doors – a practically perfect solution! Places like Bristol Bi-fold offer a choice of bifold doors ranging from the traditional to the futuristic. From traditional to futuristic, bifolds have a place in most households; giving homeowners the ability to create an interesting and practical feature out of what would otherwise be a door with smaller sightlines, less functionality, and that is far less aesthetically pleasing. 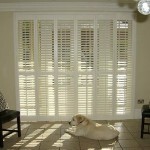 Bifold doors are not only visually pleasing but they are also useful in a much more practical, everyday living sense. Imagine two scenarios: it being a glorious, blue skied summer day and being able to effectively lose a wall of your living room/kitchen/office so that you are able to bring your outdoor space in and vice versa. Are you in or out?! – The best of both worlds…. Next, imagine a bitterly cold winter where, although missing spending your days outdoors, you are glad you can still benefit from your stunning views by having floor to ceiling doors with minimal frames blocking your view. 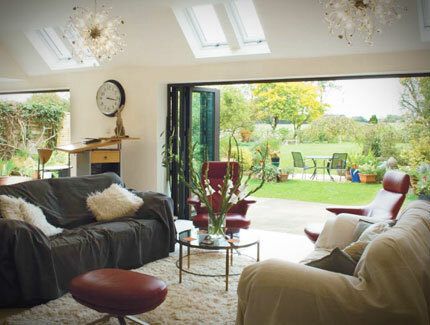 And having bifold doors are the perfect solution to be comfy and enjoy in both scenarios. Further to this, you could even have performance glass installed into your doors, meaning that you wouldn’t just be benefiting from your view, but also you’d be saving money! Celsius clear is a innovative new performance glass that can be fitted to bifold doors which helps maintain the temperature within your home. Basically – this keeps your home warm in winter and cool in summer by acting as a barrier to the external temperature. Celsius glazing (glass) controls the temperature of your indoor spaces – ‘keeping you cooler in summer and warmer in winter’. Talking of choices (such as glass choice), most good bifold door installers are able to offer you a wide range of options for your doors, from integral blinds, remote controlled roller blinds, handle and furnishing options. 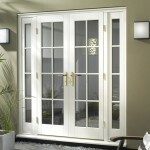 Always view the door you intend to buy in a showroom, which should be provided by your installing company. Sounds obvious, but when choosing a fitter you want to choose someone who knows what YOU want in YOUR home, meaning you should be able to see your product before you buy. If you think that bifold doors would be a welcome addition to your home, or even if you are just thinking about making some changes in your home, Bristol Bifold – a family owned business – would be happy to answer any questions, and offer advice regarding your purchase. 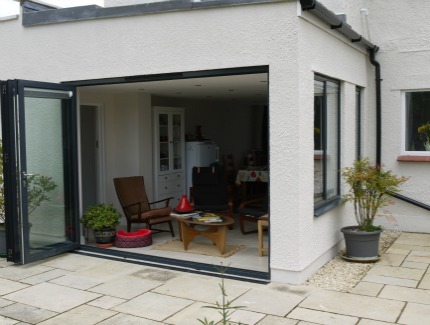 Author: This article is written by Chloe Young, a blogger for Bristol Bifold – she has a keen interest in the economic and energy saving benefits of Bifold doors and also works as contract administrator for the company.